Arthur Lubin (1898-1995) was born in Los Angeles and educated in both Los Angeles and San Diego. World War I interrupted his education, and Lubin served in the U.S. Navy. After the war, he enrolled at the Carnegie Institute of Technology in Pittsburgh, graduating in 1922. He began as an actor in plays and films and segued into casting and directing. Lubin produced and directed several plays in New York, including "This One Man." 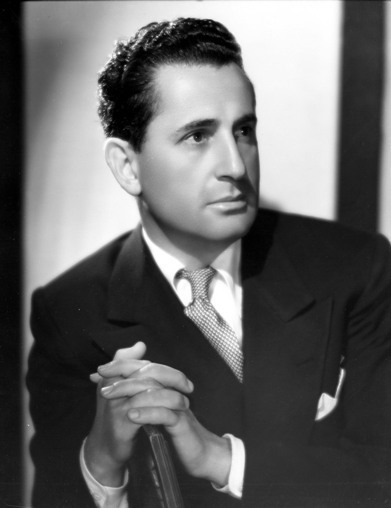 In Hollywood he joined Paramount as assistant to producer William LeBaron for "She Done Him Wrong" (1933). One of his first screen credits as director was for Monogram's "Great God Gold" (1935). He later signed a contract with Universal-International and directed "Buck Privates" (1941) and other Abbott and Costello pictures, "Phantom of the Opera" (1943), and six Francis the Talking Mule comedies. After "Lady Godiva" (1955), Lubin divided his time between England and Hollywood. He formed Arthur Lubin Productions, Inc., and produced and directed "The First Traveling Saleslady" (1956). In television, he directed the long-running show "Mister Ed," among other series. His last film was "Rain for a Dusty Summer" (1971). The Arthur Lubin scripts span the years 1933-1965 and encompass 5.5 linear feet. The collection contains a handful of annotated scripts for films Lubin directed: "Delightfully Dangerous" (1945), "Eagle Squadron" (1942), "Escapade in Japan" (1957), "New Orleans" (1947), "Night in Paradise" (1946), "Rhubarb" (1951), and "The Thief of Baghdad" (1961). Three dozen non-annotated bound scripts for Lubin-directed films were transferred to the library's core script collection. These titles range from "Ali Baba and the Forty Thieves" (1944) to "Yellowstone" (1936). The bulk of the collection consists of Lubin's bound script volumes containing more than 120 episodes of "Mister Ed" written by Lou Derman, Ben Starr, Bill Davenport, Larry Rhine, and others. There are three scripts for stage productions: "Her Man of Wax" (1933), "The Man Saul," and "This Young World." Bequest of the Arthur Lubin estate, 1999.